We realize that every tax case is unique and requires a solution that is specific to your needs. We take the time to learn about you so we can find a plan that you will be happy with. Let our experienced staff represent you to fully resolve all of your tax problems. Don’t put off your tax problems any longer, they will only get worse! The first step to becoming compliant with the IRS is to file any delinquent tax returns. 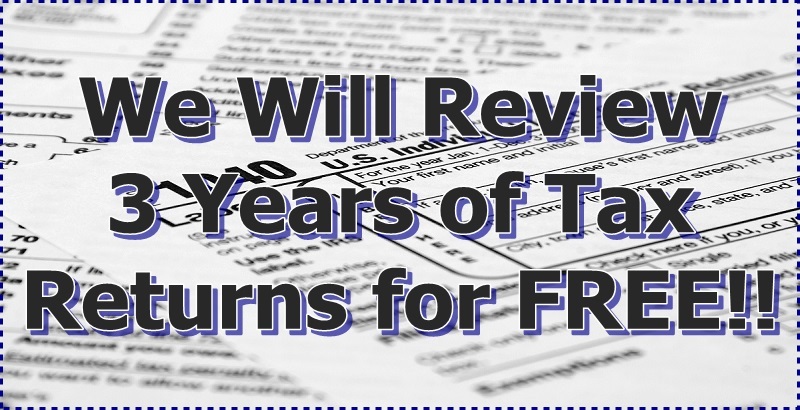 No matter your reason for not filing, the IRS will be unwilling to resolve any past issues until this is taken care of. The longer you wait to file, penalties and interest will continue to grow. There can be even more serious repercussions for failing to do so, possibly including jail time. Don’t put off filing your tax returns any longer. We can help give you peace of mind by making sure you are current on everything you are required to file. If you have any undisclosed income from offshore accounts take full advantage of the Offshore Voluntary Disclosure Program before it is gone. The consequences of not reporting could mean civil penalties of $10,000 or even criminal charges. These costs far outweigh those of the service costs for filing. Other governments are getting smarter in regards to this now and are starting to follow in each other’s footsteps. The first step to stop further penalties and interest is to become compliant. Once this is done, it is possible to settle your tax debt for pennies on the dollar. Our staff can amend previous tax returns to make sure you are paying the lowest amount of tax that you are legally obliged to. We can also arbitrate with the IRS for you to potentially lower penalties and interest on your back taxes. Most people think that being audited is like having teeth pulled at the dentist. If you don’t know what you’re doing and you tackle this process alone, it may seem just as bad, except for the IRS doesn’t administer any anesthetic. Don’t panic though! You don’t have to face the IRS alone. Our staff has a comprehensive knowledge of tax laws and thorough experience in dealing with IRS auditors. We will take care of all the necessary paperwork and you may not even have to talk to the IRS at all. A tax lien or levy issued by the IRS can have very serious implications and immediate action is recommended. This can result in the seizure of some, or even all, of your assets including your home, vehicles, and cash in your bank accounts. Act now to protect what is yours and to avoid any further action by the IRS. Our experienced staff know the necessary steps to resolve this nightmare and give you peace of mind. When we create a plan for you we don’t tell you what to do. Rather, we take your ideas and ask you the right questions to give you the best options on how to move forward. What works for John Doe might not work for Jane. The goal is to correct past mistakes and plan for the future. One significant step is to review your old tax returns to make sure there are no deductions, etc. you missed to lower any tax debt. You might even get an unexpected refund.